Meet Ben. Director. Talker. Runner. Rider & our man for strategy, branding & communications. Ben is a writer and creative director by trade and experience. Now days, in this digital world, that means some things have changed, and others have stayed the same. What is true is that helping business people find the most compelling stories in their organisations still makes marketing more powerful. While print and TV are dying, at worst, and changing, at best, the more things change, the more they stay the same. What used to be press ads are now web pages, blogs and social media feeds. What used to be TV is now digital video content. What hasn't changed, is the importance of strategy. Understanding your business, and what your customers want from you. Let's keep it super simple for now, but these things lie at the heart of every powerful and effective piece of communication. For The Cut and our clients, Ben applies years of strategic and creative experience to optimise ecommerce Shopify websites, improve user experience and brand communications, and ultimately attract more attention from the write sort of people (sorry). Ben and I bring different skills to The Cut and our clients. Ben understands communications, and how to reach the right people with the right messages. It doesn't matter if that happens on a website, a Shopify site, in social media or traditional media. The effect is to make the marketing more powerful by making it relevant, simple and engaging. He's not too bad at doing that. When writing marketing communications, strategy and copy for The Cut’s clients Ben keeps it short, succinct and to the point, just as powerful words should be. That’s when he’s writing. When he’s talking, he’ll talk the hind leg off a donkey, the back wheel off a bike. He’s even been known to out-talk a group of champagne-fuelled ladies. Not that we like to generalise... the point is, Ben likes to talk, write, communicate and engage with people. Ben’s career pre-The Cut saw him working as a conceptual advertising writer for agencies including Clemenger BBDO, Grey Worldwide, 303 and Austereo Southern Cross in markets from Hobart to Perth and from Canberra to Manchester. He understands how to find the compelling stories in companies and turn them into powerful advertising communications that engage consumers and work to add value to the businesses we work with. 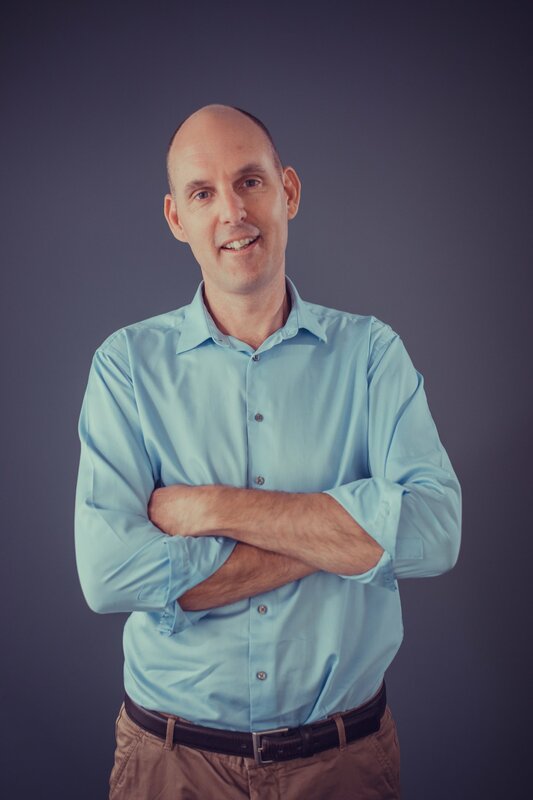 Ben handles Communication Strategy for our clients to re-focus their attention on what makes their companies unique and special and how best to deliver those messages to the right markets, by using the best channels. Then, those strategies are used as the foundation for advertising campaigns, ecommerce sales strategies, social media content, web content and much more. Ben’s life outside work involves Dad-time with Olivia and husband-time with Parisa, running with the Nike Plus app, mountain biking, insipid beer, red wine and an evolving love of gardening. I help clients understand and plan technology solutions and Ben works to make their brands stand out, communicate clearly and engage with the right people. This is crucial for our clients from Shopify ecommerce projects to pure brand design and campaigns. Where we meet in the middle is combining communication with technology to achieve business objectives for the people we partner with.